When Canon announced the development of this lens, I wasn’t too surprized. The Nikon 200-400 f4 equivalent of this lens has long been a popular choice amongst many of the Nikon shooters that travel with me on photographic safaris, and Canon were certainly lacking representation in this segment of the market. Canon took some time developing their own EF 200-400 f4L IS 1.4x ext IS USM and seemingly held nothing back when it came to the feature set of this lens. In both physical size and cost it is most similar to Canon’s quartet of class-leading, version ii fixed telephoto lenses and with imaging performance that is of a similar standard. 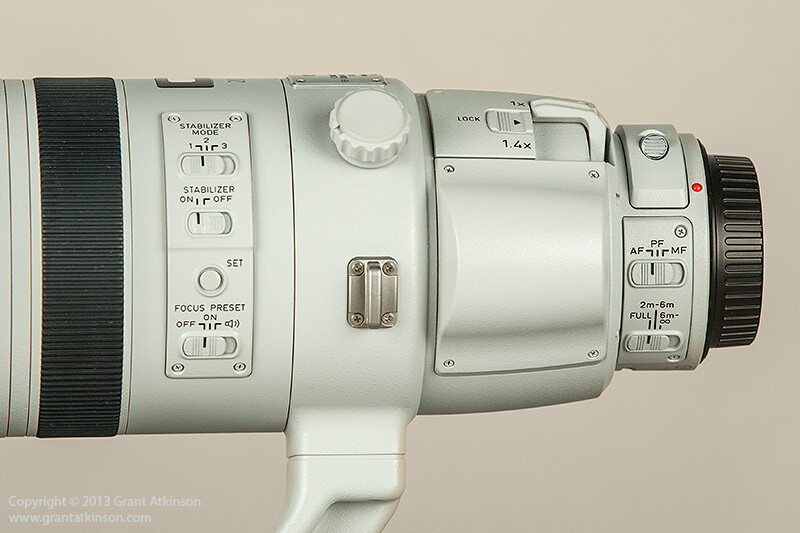 As it is an all-new design for Canon, there is really no other zoom in the range to compare it to. However, as this lens will likely be competing with Canon’s own range of super telephoto prime lenses for space in photographers gear bags, I have chosen to use some of those lenses as references where relevant in the review. The lens barrel does not change size during zooming, and all moving parts are inside the barrel. This type of design is usually better at keeping dust and moisture out of the lens for longer than lenses with extending barrels. Starting at the rear of the lens, the lens mount is standard Canon EOS L, complete with the weather-sealing rubber ring. The base of this lens barrel is not ridged, unlike many other L-series Canon lenses, likely due to the need for compact dimensions. There is a small panel with recessed switches mounted close to the lens base, where it can easily be reached by the photographer’s left hand. It houses switches controlling AF/PF/MF and also the focus distance limit selector. All the panels and switches on the lens are closely contoured to the shape of the lens barrel, and all the switches are recessed. They require quite firm pressure to move them, and they are difficult to bump accidentally, which is something that used to happen to me often with older Canon telephoto lenses. Above the switch panel is a drop-in filter holder, which is standard 52mm Canon. I have yet to find anybody using any filters in these slots, and for my own usage, would be quite happy to see the drop-in filters disappear in the interests of better sealing and simplification. I am sure that there may still be users who need them. Ahead of this is the bulge in the lens barrel that houses the extender when it is removed from the optic path. The extender is optimised for use in this particular lens, and building it into the lens adds an extra dimension to the EF 200-400 f4L’s capabilities. Without the converter, the lens has a constant f4 aperture, focal length that ranges from 200mm to 400… With the converter in place, it becomes an f5.6 aperture lens with 560mm of focal length. The 1.4x extender is engaged or removed by means of a lever, with a sliding lock-switch to prevent moving it accidentally. The tripod collar is an integral part of the lens and cannot be removed. The tripod foot itself can be unbolted from the tripod ring, and Canon supply two different sized tripod foot fittings with the EF 200-400 f4L. One is longer with more offset from the lens barrel, and is the one pictured in my test images. The other tripod foot is a little shorter, and closer to the lens barrel. I like having the two options. The tripod collar has a locking knob with a cover that can be opened to reveal a slot for a lock. It is positioned high on the left side of the lens barrel, where it is easy to reach without having to remove your hand from supporting the lens. There are two alloy mounts for a supplied lens strap that attaches to the tripod collar itself for carrying the lens. An alloy plate with the lens designation sits on the top of the collar. The second panel of switches is positioned ahead of the collar. The uppermost switch is for selecting one of three IS modes, called Mode 1,2 and 3. Below that is a switch to activate the IS, and then the set of switches and buttons for the focus preset feature which I have yet to use as a wildlife photographer. A focus distance scale is located on the top of the lens. The focus ring for manual focus is ridged, and turns very smoothly, with no play evident. This focus ring is not as wide as those found on the EF 400 f2.8L IS ii, the EF 500 f4L IS ii or the EF 600 f4L IS ii. I much prefer the narrower ring fitted to the EF 200-400 f4L. I have to take extra care when shooting any of the three fixed lens mentioned above, to avoid accidentally shifting their oversized focus rings whilst holding them. Ahead of the focus ring is the zoom ring which is made of broadly textured rubber. It is positioned in front of the focus ring, which is the same as the EF 70-300 f4/5.6L IS but opposite to the EF 70-200 f2.8L IS ii. There is a knurled collar to activate the focus preset feature. In front of that, are four rubber-covered buttons on the front collar of the lens. They can be programmed to perform various functions, depending on which camera body you use. The collar on the EF 200-400L f4L is finished in black. The black colour doesn’t show scuff marks where the lens hood tightens into place. The new zoom shares its lens hood with the EF 300 f2.8L IS ii. Designated ET -120 (WII), it is well made from either carbon fibre or a high quality plastic, with a rubber edging on the front, anti-reflective flocking within, and the new style Canon locking knob that protrudes a little less on the side. The hood attaches firmly with the threaded locking knob and provides plenty of protection for the front element. There is a padded nylon lens cover that fits over the hood once it is reversed, which attaches with a velcro tab. Within the EF 200-400 f4L’s magnesium alloy barrel are 25 optical elements, arranged in 20 groups. There are four UD (Ultra Low Dispersion) elements and one large diameter flourite element. Flourite is highly effective at combating chromatic aberrations as well as flaring and ghosting. Both of these materials are more costly than regular optic materials. Canon also make use of Super Spectra coating, and Sub-Wavelength coatings, on some elements to help reduce flare, ghosting and unwanted reflection. It is clear from this optical specification that there is a lot of high-quality material and technology behind the optical performance of the EF 200-400 f4L. The built-in extender is made up of 8 optical elements, and when this is in place, the lens becomes a 33 element, 280mm – 560mm f5.6 focal length lens. The front and rear elements have a Flourine coating which helps them stay clean and free of debris. The coating also makes them easier to clean after use. The lens is supplied in a very robust hard plastic lens case (Lens Case 200-400) that is perfect for storing the lens and for transporting it if you have the room. That would not be the case for flying. The lens case is well made, with rubber feet on the sides to stand it on. 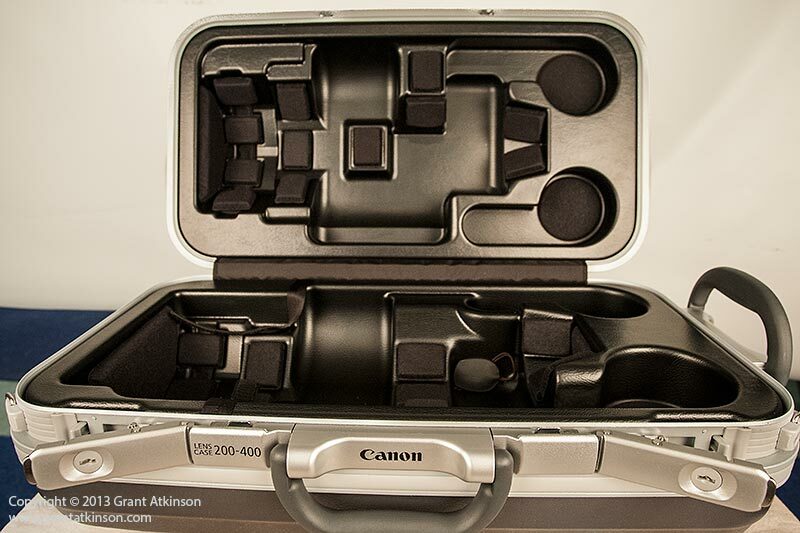 It has space within for storing two extenders, but not a dslr body. It also comes with a carrying strap for the case itself but it was easier to use the handles. The case can be locked. The EF 200-400 f4L IS Ext 1.4x is solidly built, and all the controls just feel as they are of the highest quality. The focus ring turns smoothly, with no play. When handholding, I rested the bottom of the tripod foot on the palm of my left hand, and used my thumb and index finger to control the zoom fairly easily. I am comfortable with the location of the zoom ring where it is. The manual focus ring is closer to the camera body, but I seldom use that control when photographing wildlife anyway. Engaging the 1.4x extender is simple, and the switch can be moved over with just one finger. When handholding, you will likely work out the best way to hold the lens as you flick the switch. I used my left arm as a cradle and then moved the switch with my right hand. If the lens is on a mount or a rest, the extender can be engaged with the left hand without even looking up from the viewfinder. The advantages of having the built-in extender available any time you may want to frame tighter, are many. As a wildlife photographer, I have no control over my subjects proximity. When I have moving subjects, I typically like to get quite far ahead of them, and then shoot as they approach my position. With this lens and the extender engaged, I can start shooting when the subjects are further away than I can with a fixed 400mm lens. If they keep approaching, and get within 400mm range, I simply pause for a moment as I flick the switch to remove the extender, and I gain an f-stop, with 200mm of focal length range to work with. Compared to trying to achieve the same thing with a fixed lens and a separate extender just takes so much longer. Changing extenders on and off in the field wastes time, and also increases the risk of getting dust into the camera and lens. There are a few things to keep in mind about engaging or removing the 1.4x extender whilst you are shooting. When used with a 1DX, a 5Dmk3, a 6D, a 650D or 700D, it is possible to move the extender switch whilst you are in Live View or taking videos. This will hold good for all subsequent Canon dslr bodies going forward. If you are shooting the EF 200-400 f4L IS 1.4x on a 1Dmk4, 7D, 60D or 600D, and most earlier models in those ranges, then you should NOT move the extender switch whilst the camera is in Live View or movie mode. On all cameras, it is advisable to NOT move the extender switch while the camera is busy writing to the card. Looking through the viewfinder as the extender switch is moved from one position to the other revealed that the viewfinder readout goes blank momentarily during this operation. Taking the small amount of time that may be needed for card writing to happen is still much preferable to switching everything off, and adding or removing a regular extender. I did not have any trouble with this and used the lens on a 1Dmk4 and a 5Dmk3. 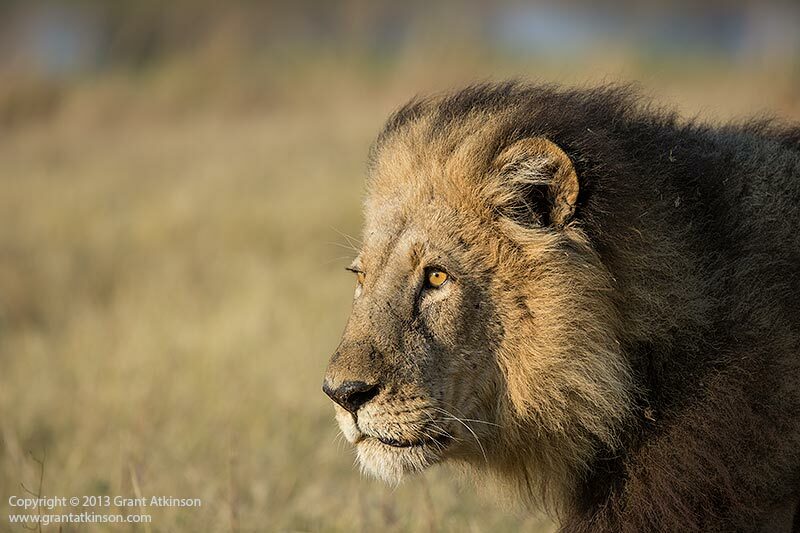 Using the new EF 200-400 f4L in the field, I substantially increased the number of images that I could take, and keep, due entirely to its wide range of focal lengths, and the versatility brought about by the instantly accessible 1.4x extender. I typically make use of a fixed focal length lens for shooting at 300mm and beyond in these situations. In the real-world conditions that I used the EF 200-400 f4L, I found that approximately 20 % of my images were taken at 200mm, 60 % at 400mm and just 10% at focal lengths beyond 400mm, with the extender. 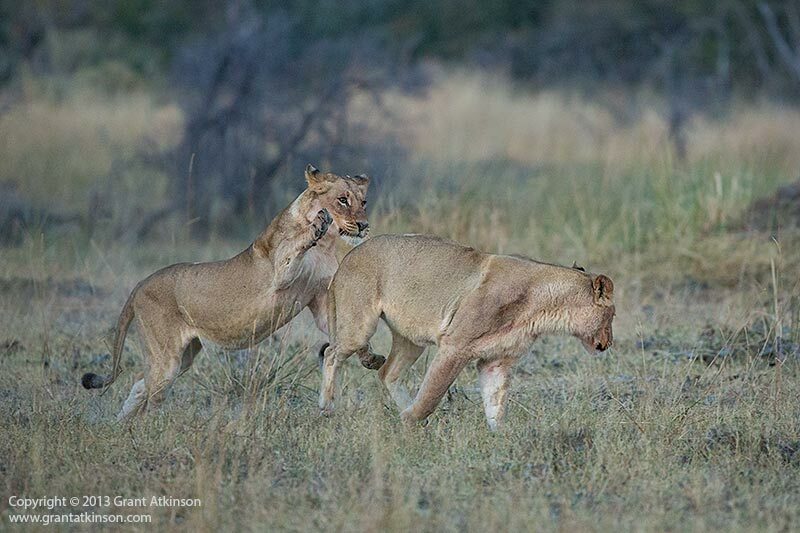 Remainder of the images were shot at focal lengths between 200 and 400mm. It was interesting to break down the captures by focal length. I shot the series of three images below at 200mm, 400mm and at 560mm with the 1.4x extender engaged from the same position. With such a wide range of focal lengths available, it becomes effortless to go from photographing an animal in its habitat to a portrait within a few seconds. The three images give a real-world idea of just how versatile an imaging tool the EF 200-400 f4L IS 1.4x is. The focal length range of this lens (200mm to 400mm) is virtually ideal for the kind of wildlife photography that I do most, with mammals being the main subject matter as well as birds that allow close approaches. The extender adds something extra, at no cost to the image quality of the focal lengths below 400mm when it is not engaged. In many ways the EF 200-400 F4L can do the job of several other lenses. The tripod ring locking knob tightens and loosens quickly and easily. Rotation of the lens in the tripod ring is silky. There are four, very positive, click detents at right angles in the action, making it simple and intuitive to align the lens accurately, without even having to look. The bigger of the two supplied tripod foot fittings also provides a padded handle when used for carrying the lens. 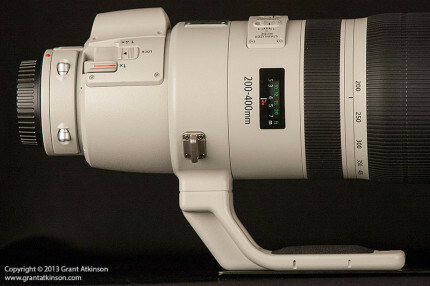 The EF 200-400L IS Ext 1.4x weighs 3620g. That places it in between the Canon EF 500 f4L IS ii (3190g) and the EF 400 f2.8L IS ii (3850g) in weight. It is longer than the EF 400 f2.8L IS ii and a little shorter than the EF 500 f4L IS ii. The weight in the EF 200-400 f4L IS 1.4x Ext is distributed evenly throughout the lens barrel, unlike the new Canon fixed telephoto lenses, which have most of their weight toward the camera. What this means is that the EF 200-400 f4L IS 1.4x takes a little more strength to handhold for long periods than the longer but lighter EF 500 f4L IS ii. Bigger and/or stronger photographers will be able to handhold it for long periods, whilst smaller or less strong photographers may only be able to shoot for short periods in this way. Using a tripod mount, a monopod or a beanbag will make handling the lens for long periods easier. When used on a mount, it also becomes much easier to control the zoom ring with the left hand whilst looking through the viewfinder and shooting. 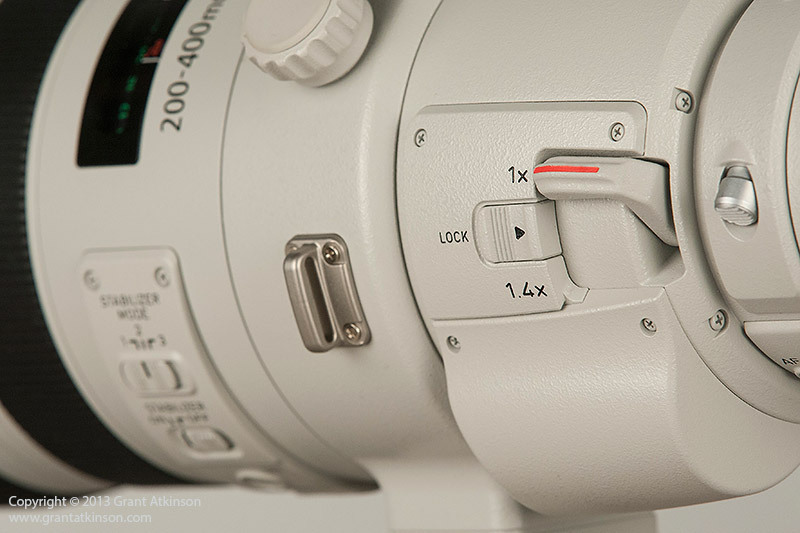 Minimum focus distance on the EF 200-400 f4L is just 2.0m. This is pretty good in comparison to the EF 400 f2.8L IS ii at 2.7m, the EF 400 f4 DO at 3.5m but not as good as the EF 100-400 f4.5/5.6L at 1.8m. Once the 1.4x extender is engaged, the EF 200-400 becomes a 560mm lens, with an increase in magnifying power with no change in minimum focus distance, which then takes it just past the EF 100-400 f4.5/5.6L. Although it isn’t a true macro lens, the E 200-400 f4L is quite effective for photographing flowers, small birds and large insects at close range. The IS system is very effective on this lens. Most of the shooting that I did with the EF 200-400 f4L was handheld, and I kept the IS switched on all the time, regardless of my shutter speeds. Mode 1 is for regular, handheld shooting situations. Mode 2 is for panning, which you are most likely to do from a tripod or mount. Mode 3 is a new mode, first introduced on the Canon EF 300 f2.8 IS ii in 2011, and is specifically geared towards photographing action. Wildlife and sports photographers stand to benefit the most from it. In mode 3, stabilization is carried out for both horizontal and vertical motion (the same as Mode 1) but instead of it being active all the time, it only activates when the shutter button is completely depressed. This is meant to counter the possibility of the image jumping in the viewfinder in Mode 1 which may occur when trying to follow fast or erratic subject movement whilst handholding. Although I cannot say that I have actually noticed the image jumping in my viewfinder on any of the more recent (2006 and newer) Canon lenses whilst using Mode 1, I decided to switch to Mode 3 with the EF 200-400 f4L. It is of course quite difficult to quantify which mode worked better for me in the field as there are so many variables to take into account. I can definitely say that after several thousand frames, at both fast and slow shutter speeds, that I was very impressed with the IS, and Mode 3 in particular. The EF 200-400 f4L has an IS system that is tripod-sensitive, and will shut down if necessary when mounted on a tripod. Going forward, I will be using Mode 3 as my default setting on all lenses so equipped, when shooting handheld. Autofocus is a big deal for me in a wildlife lens. Most modern lenses will autofocus quickly and accurately in good light and with stationery subjects, but not all lenses focus well in more challenging conditions. I target action whenever I can, and I often shoot moving subjects in complex, busy backgrounds. I also shoot these same moving subjects in low light. In my experience, the very best lenses hold a clear advantage in such demanding autofocus situations. There are always things that I take into account when I am evaluating autofocus performance, and my own expectations. I expect that lenses with longer focal length will focus a little slower than lenses with shorter focal length, all other things being equal. I usually find that lenses with larger maximum apertures, like f2.8, will focus faster than lenses with smaller maximum apertures, like 5.6. The newest generations of Canon lenses,from 2006 onwards, whatever their maximum aperture, feel as if they are getting a little faster at autofocusing. This is more noticeable with lenses that have f4 and f5.6 maximum apertures and less noticeable with the f2.8 fixed lenses. Given that the EF 200-400 f4L is a complex zoom of short-to-medium focal length, with a medium-sized f4 maximum aperture, I can say that I was not expecting it to focus nearly as well as it did for me. Focus speed was very, very good, with both the 5Dmk3 and the 1Dmk4 bodies. If you are coming to this lens from an EF 100-400 f4.5/5.6L lens, then you will find the focus fast. If you are coming to it from an EF 300 f2.8L IS ii then you may find it just a touch slower to lock. To me, it felt at least as fast as a Canon EF 500 f4L IS ii. Focus accuracy was exceptional, and I got my best results pairing the lens with my 5Dmk3. I found myself getting shot after shot in sharp focus, even in very low light. One particular example really illustrates my experience very well. 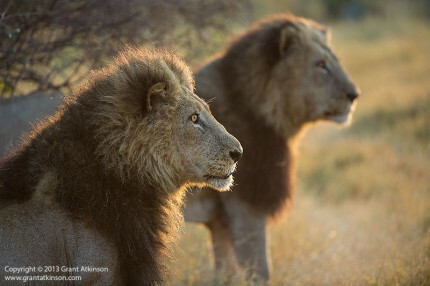 We had located a pride of lions on the move, long before sunrise. As the sky slowly began to lighten, a couple of the big cats chased and tackled one another. It was still way too dark to photograph. We stayed with the cats though, as it got a little lighter. The sun was still not risen over the trees, but it was light enough to shoot when the two lions once again interacted. They leaped straight up, then landed and raced towards us before breaking apart as they passed by. The jump and chase had only lasted seconds before it was over. In anticipation, I had set up with a wide-open aperture, and 400mm focal length. An iso setting of 3200 only gave me a shutter speed of 1/800 sec. I tracked and fired continuously as the action went down, not even expecting to have one sharp shot, due to the lack of direct light for the autofocus to work with, and the speed and direction of the subjects. But I tried anyway. I was totally astonished to find that out of 20 frames, I had 13 that were properly focused. I have not done any better with any other lens or camera combinations before, in conditions such as this. 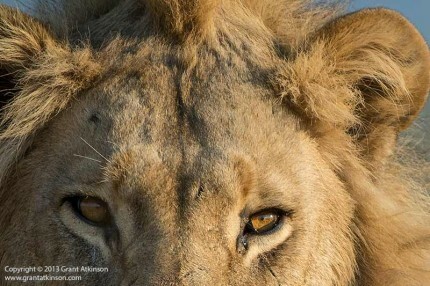 The lions were also too far away when I shot this image and I had to crop it to 5 megapixels to frame it as it shows above. They ran closer after this, and got closer for each subsequent frame. The EF 200-400 f4L also focuses very well when shooting against the light, which is again something that lesser zooms sometimes don’t do well. I was able to lock focus quickly even when I had the sun in the frame, although it was filtered by atmospherics. In extremely low contrast situations the autofocus slows down, but still locked on accurately. 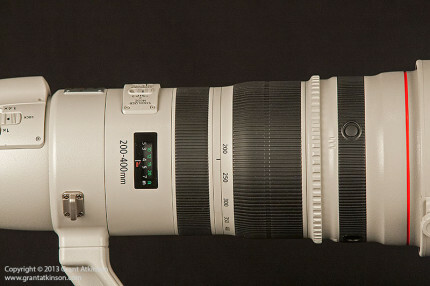 The EF 200-400 f4L is only significantly bettered in AF performance by the 300mm and 400mm Canon f2.8 telephoto lenses. Engaging the 1.4x extender narrows the field of view, and takes the maximum aperture to f5.6. Autofocus is still accurate and reasonably fast, especially in direct light and for slow-moving or static subjects. With the extender in place, my ratio of critically sharp images dropped quite steeply when photographing fast-moving subjects, or when shooting a subject amongst busy surroundings. The lens was more likely to drop focus lock. It also struggled a little in strongly backlit conditions. I was still able to effectively capture some sharp images of fast-flying birds with the extender engaged in good light and I am sure that many users will do even better. For extreme action photography, or when light was less than ideal, I opted to use the EF 200-400 f4L without the extender in place. I used the EF 200-400 f4 L on only two camera bodies during the time that I had it. On the Canon 1Dmk4, now discontinued, the field of view is roughly equivalent to 260mm-520mm. With the extender engaged, the field of view becomes roughly equivalent to 364mm-728mm. Autofocus was fast, and accurate and the bigger size of the body balanced well on the EF 200-400 f4 L.
I mostly used the lens on my Canon 5Dmk3, with it’s full-frame sensor. As I used the combination in the field, I found that having a real 200mm on the wide side of the focal length range was coming in very useful. I was also very happy with the way this lens and the 5dmk3 worked together, in terms of autofocus accuracy, and image quality. A battery grip would help to add some ballast to the 5Dmk3 to help balance this combination physically though I shot without one. I did not have any Canon APS-C sensor bodies like the 7D or 60D on hand to test the lens with. I may add to this field review in the months ahead. On a Canon 7D, with its APS-C sized sensor, the field of view would be roughly equivalent to 320mm-640mm. With the extender engaged, the field of view becomes roughly equivalent to 448mm-896mm. I have already discussed the built-in extender’s performance with regard to autofocus, and will describe my experience with the extender and image quality deeper into this review. The EF 200-400 f4L IS 1.4x, with it’s extender engaged, is a 280mm-560mm f5.6 lens. It is also able to work with a second, external extender attached. I mounted a 1.4xiii extender onto the EF 200-400, with extender enabled. This gave me a zoom lens with a maximum aperture of f8 and a focal length of 784mm. The centre focus point worked reasonably quickly, sometimes requiring a second focus shift before locking on properly, on my 5Dmk3 (firmware 1.2.1) and 1Dmk4 (firmware 1.1.4) in bright light. I did not try to use this combination in poor light. I was able to use autofocus and capture some images purely for testing purposes. With both converters on, images lose a lot of fine detail. There is also quite prominent vignetting around the outer half of the frame. In my opinion if you are going to need such long focal lengths regularly, then there are better ways to get there, most notably the EF 500 f4L IS ii, the EF 600 f4L IS ii and EF 800 f5.6L IS plus extenders. I always shoot in RAW and process my images in Adobe Camera Raw (or the Lightroom Develop module) which are almost identical, and finish them off in Adobe Photoshop CS6. My evaluation of this lens’ performance with regard to image quality is based upon that workflow. 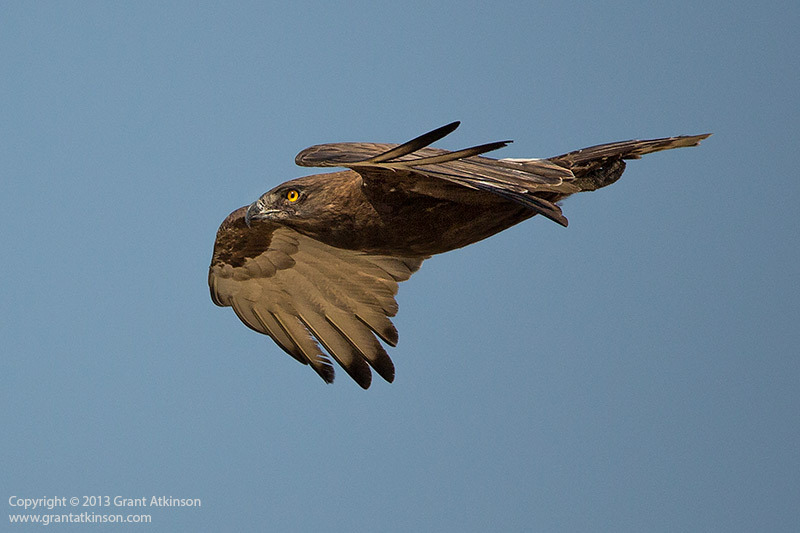 I have included more images than normal, taken in the field in this review, in order to show just how good the image quality of the EF 200-400 f4L actually is. A 1.1 megapixel crop is shown below this image to illustrate the level of detail available. Up until now, I considered the Canon EF 70-200 f2.8 L IS ii to be the best zoom lens that I have used, when it comes to image quality. After quite extensive use of the new EF 200-400 f4L, my feeling is that it is every bit as good as the shorter zoom. I am hard pressed to tell the differences between images taken with these two lenses. I found that the results that I obtained from the EF 200-400 f4L were pretty much on par with what my EF 300 f2.8 IS gives me when comparing detail, contrast and colour. Just as important for my use, is that the EF 200-400 f4L is very sharp even wide-open at f4. I had no need to stop down the lens for sharpness when shooting. I was able to choose my aperture setting based on creative reasons, depth of field and background blur being most important of those. The maximum aperture of f4 is one that I typically select a lot, even when I am shooting f2.8 lenses of similar focal length. At f4, it is often possible to get enough depth of field to get nose, eyes and ears sharp when African wildlife is the subject, depending of course on subject distance. A 1.1 megapixel crop (roughly 100 percent) is shown below to illustrate the level of available detail in this image. Of course, a zoom lens needs to provide constant image quality throughout its focal length range, and the EF 200-400 f4L doesn’t disappoint in that regard. 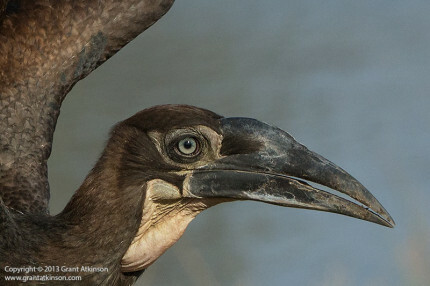 Images taken with the EF 200-400 f4L and the 5Dmk3 also benefitted from the ultra-accurate autofocus that this combination delivered. Properly focused images are usually higher in detail, and in fine contrast than those that are even slightly out of focus. Image quality was also very good when shooting against the light. This is typically not something that zoom lenses with their complexity of elements excel at but the EF 200-400 f4L delivered surprizingly good results again. There is some vignetting to be seen around the edges of the frame. I found it most pronounced at 400mm and f4. Stopping down to f7.1 or f8 cleared up the vignetting. At 200mm it is less noticeable, even at f4. Stopping down just one stop virtually clears it right away at 200mm. In real-world use, it is only noticeable when photographing a clear and bright background. Slight vignetting can actually help to draw attention to my subjects which are not typically positioned anywhere right against the edges of the frame. It is also very simple to get rid of slight vignetting such as this using Adobe Lightroom or Adobe Camera Raw and Photoshop. Canon’s own Digital Photo Professional software also takes care of it. If you like shooting jpgs, many Canon dslry deal with vignetting, or peripheral illumination correction in-camera. 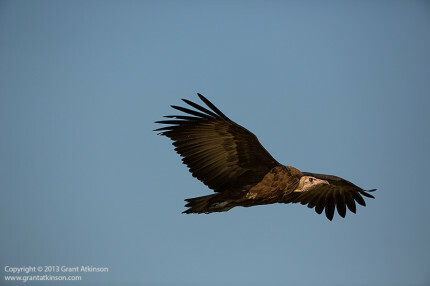 The image of the hooded vulture below this text is included purely to show the extent of vignetting at 400mm focal length, stopped down one stop to f5.6. Overall, I felt the vignetting was moderate and similar or just a fraction darker than the Canon EF 70-200 f4L IS zoom. Using a camera with an APS-C sensor will virtually eliminate any vignetting, as those sensors use only the central portion of the frame. Bokeh was good. With it’s maximum aperture of f4, this lens can blur backgrounds very effectively, even from a distance. The ‘shape’ of the bokeh was more pleasing than the EF100-400 f4.5/5.6 sometimes produces. Obviously the EF 200-400 f4L is not as good as the fixed telephoto EF 400 f2.8L IS ii for background blurring capability. Shooting the EF 200-400 f4L with the extender engaged, at 560mm and f5.6 will blur the background more completely than when shooting at 400mm and f4. I found no evidence at all of chromatic aberrations whilst examining and processing images that I have taken with this lens so far when shooting between 200mm and 400mm. With the extender in place, at 560mm, I found that I had to zoom in to around 200 percent to just find the tiniest strip of magenta colour edge on a test shot with a black shaded subject against a bright sky. So nothing really to worry about. Flare happens when stray light gets reflected off of surfaces inside the lens and either shows up in the image as small, circular, bright patches or even sometimes as large areas of low contrast. The EF 200-400 f4L did not appear to be very susceptible to flare, and during the course of two weeks of field use, I only once experienced flare when tracking a vulture across some very dark sky, shooting in the direction of the sun. On that occasion the effects of the flare were visible on two consecutive images, and it was strong enough to interfere with the autofocus, meaning I lost focus on the subject. On several other occasions, even when I was fully expecting to be dealing with lens flare, the EF 200-400 f4L surprized me by showing no signs of it. The image below was taken directly toward the sun, in just such an instance. 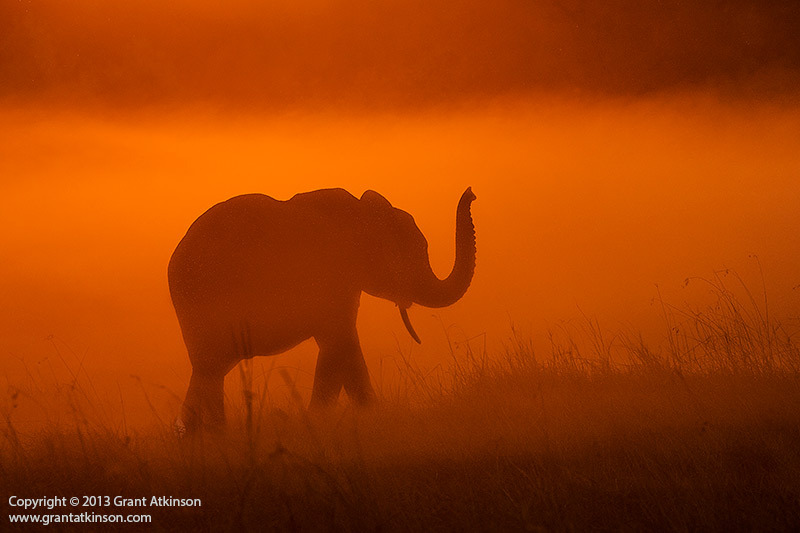 Clouds of dust, generated by elephants, were layered horizontally and backlit by a setting sun, making for a pretty scene, but usually tough to photograph. Once the 1.4x extender is engaged, there is an inevitable quality loss, which mostly comes about in the form of lowered detail in textured areas. Contrast and colour still remain pretty good. Fine edges with high contrast can look a little softer. In good light, image quality was affected less. Switching over to extender use blurs the background more strongly due to shallower depth of field, if you remain in the same relationship and distance with the subject. I have shown three crops of around 100 percent zoom level of images taken with the EF 200-400 f4L at 200mm, 400mm and 560mm. All images were taken on the same camera, from the same position, in similar light. A 100 percent crop of an image taken at 200mm and f4, no extender. A 100 percent crop of an image taken at 400mm and f4, no extender. A 100 percent crop of an image taken at 560mm and f5.6 with extender. When image quality is being compared between this lens and some of the fixed Canon super telephotos, it becomes important to take into account cropping of the images in processing. I found that I did much, much less cropping with the flexibility that the EF 200-400 f4L allowed me as I could often compose with more accuracy than a fixed telephoto might allow. This means I spend less time on changing my own position to suit my lens, and more time capturing the subject. It also means that I end up with more images that are framed better straight out of the camera that need minimal cropping, which maximizes the resolution and ultimately the final image quality I can get. When using fixed telephoto lenses for wildlife photography, it also happens that a subject comes closer faster than I can change cameras, and I end up shooting too tight or even cutting off parts of the subject. That doesn’t happen nearly as often when using the zoom lens. Still staying with image quality at differing focal lengths, I purposefully shot the EF 200-400 f4L IS 1.4x ext at some very far-off birds in flight. I did this to be able to compare how well the lens resolved distant subjects as opposed to nearby subjects. At 400mm of focal length and wide-open at f4, the results were about what I would expect from any of the fixed telephoto Canon lenses that I use. I also did the same, distant subject test with the 1.4x extender in place. Some loss of detail results from using the extender, but the lens still resolves well. I have included one such image in the review as an example of what may be expected. I took the photo in hard, late-morning light purely for testing purposes, not for its aesthetic value. The only other Canon zoom lens that has a somewhat similar focal length range is the Canon EF 100-400 f4.5/5.6 L IS. The EF 100-400 f4.5/5.6 L cost much, much less. It is also much lighter, and easier to manage. 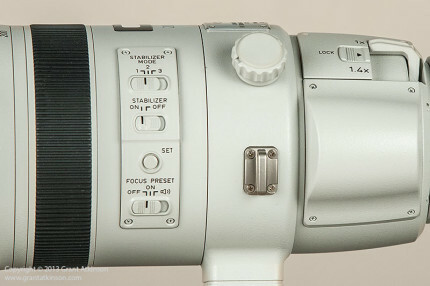 It has a 100mm focal length advantage on the wide end of the zoom range. What you get if you choose the EF 200-400 f4L over this lens is significantly better image quality, faster and more accurate autofocus, much better low-light performance as well as a one-stop maximum aperture advantage throughout, better image stabilization, weather-sealing and an extra 160mm of focal length. The Canon EF 300 f2.8L IS ii has a one-stop light gathering advantage, slightly faster autofocus, and image quality that is just ever so slightly better, although that may only be true at 300mm, which is the only focal length range where the two lenses overlap. It weighs 1270g less, and is shorter, and easier to manage. It also costs significantly less, although if one intends to use it with extenders, the extra cost, size and weight need to be taken into account. In its turn, the advantages that the EF 200-400 f4L holds over the fixed telephoto 300 f2.8 are mainly its much wider focal length range, which brings with it flexibility of composition. Both lenses have equivalent image stabilization. It is also much more comfortable and effective using the zoom ring and built-in extender on the EF 200-400 f4L than it is trying to manage the EF 300 f2.8 IS ii L and two extenders, and changing them in the field whilst shooting. The Canon EF 400 f2.8L IS ii has a one-stop light gathering advantage, slightly faster autofocus, and image quality that is just ever so slightly better, although that may only be true at 400mm, which is the only focal length range where the two lenses overlap. The EF 400 f2.8L IS ii can also blur backgrounds more effectively when shot wide open. The two lenses are similarly priced, although if one intends to use it with extenders, the extra cost, size and weight need to be taken into account. Adding a 1.4x extender to the fixed 400 will result in a lens that will outperform the EF 200-400 f4L when it is being used with the extender, at similar focal lengths. In its turn, the advantages that the EF 200-400 f4L holds over the fixed telephoto 400 f2.8 are mainly its much wider focal length range, which brings with it flexibility of composition. Both lenses have equivalent image stabilization. It is also much more comfortable and effective using the zoom ring and built-in extender on the EF 200-400 f4L than it is trying to manage the EF 400 f2.8 IS ii L and two extenders, and changing them in the field whilst shooting. The zoom lens is also a little smaller and lighter (230g) than the big fixed 400. I did not think that the EF 200-400 f4L really warranted direct comparison with the Canon EF 500 f4L IS ii. If you are going to be needing 500mm of focal length for the majority of your shooting needs, then the fixed lens 500 is a far better choice. The Canon EF 200-400 f4L IS 1.4x extender is one of the best zoom lenses, if not the best, that I have ever used. Although I fully understand that much is made of the built-in extender from a marketing perspective, my own feeling is that the real strength of this lies in its exceptional image quality (virtually as good as an equivalent prime lens) and it’s very accurate autofocus, between the focal length ranges of 200mm and 400mm. It is an expensive piece of equipment, but it delivers some of the best available image-making performance in its class. Using this lens enabled me to increase the number and quality of the kind of images that I take for a living, and it is hard to put a price on that. Thanks for the comprehensive review, pity about the price tag! Thanks for the feedback Nick, appreciated! 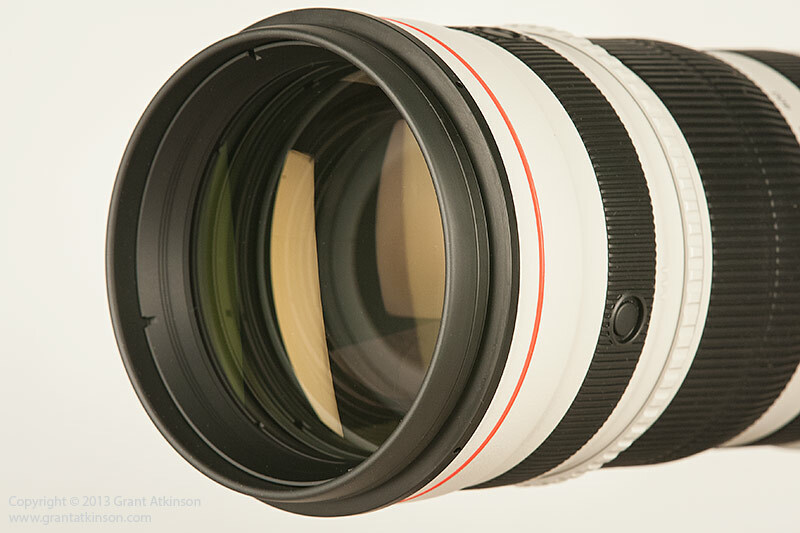 An excellent and comprehensive review, I now have serious lens-envy! Nothing wrong with the EF 300 f2.8, it shares lots of tech with this lens, and is also one of the most exciting telephoto lenses to use. Hello Grant! I hope this finds you well…sweet review of the 200-400, thank you for sharing your detailed impressions and thoughts regarding the attributes of this lens. It looks to be an acceptable and applicable solution within the 200-400 dynamic. 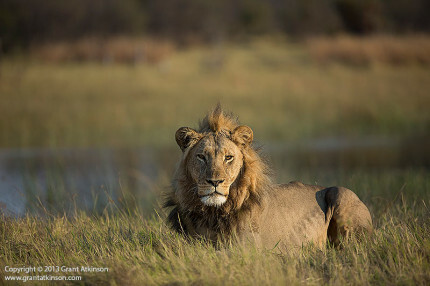 A question for you regarding the field kit for southern Africa, when going into the bush with the 200-400, would you recommend to partner this lens with the 70-200 2.8 or the 24-70 2.8? I would not wish to travel with the 200-400, and only one of either the 24-70 or 70-200…too big a gap for my own preference.. Thank you for a quick, informative, and, as usual, complete reply! Ah, yes, proximal elephants…yikes, up close and personal :)! I did enjoy reading your recap of sitting in the bunker while getting some really nice captures, wide is good, so is ducking occasionally, super! I can’t believe I read the whole thing! Even though I won’t ever be able to own something like this, it’s great to be able to read these reviews… and understand most of the technological talk. 🙂 You’re the best at this! Excellent review, particularly the comparison of image quality & autofocus speed with the primes in that range. I am thoroughly enjoying my 300mm f2.8 II which still has impressive performance with a 2x extender on it – apart from the need to remove the lens add the extender reattached and such. You summed it up pretty well. Actually, the EF 300 f2.8L IS ii with a 1.4x iii extender attached will outperform the EF 200-400 f4L at 420mm (which would need the extender engaged to get to 420mm f5.6) in both light gathering and image quality. Comparing the EF 300 f2.8 L IS ii and the 2x iii extender, at 600mm f5.6, to the EF 200-400 f4L IS with 1.4x extender engaged at maximum focal length of 560mm at f5.6, results quite similar, maybe the EF 200-400L would have a slight edge but I did not carry that out with those lenses side by side. Read your review with great interest ! Very comprehensive and interesting. I’m a great fan of the 300 f/2.8 and with the 1.4x it produces stunning IQ, and BG. I found the IQ and tracking not that good with a 2.0x and therefore will stick with the 1.4x only. The focal range of this lens makes it attractive, but the price is a bit steep (IMHO). Hi Lars, I think that if you do most of your shooting at 500mm or upwards, then the EF 500f4ii is a better lens. 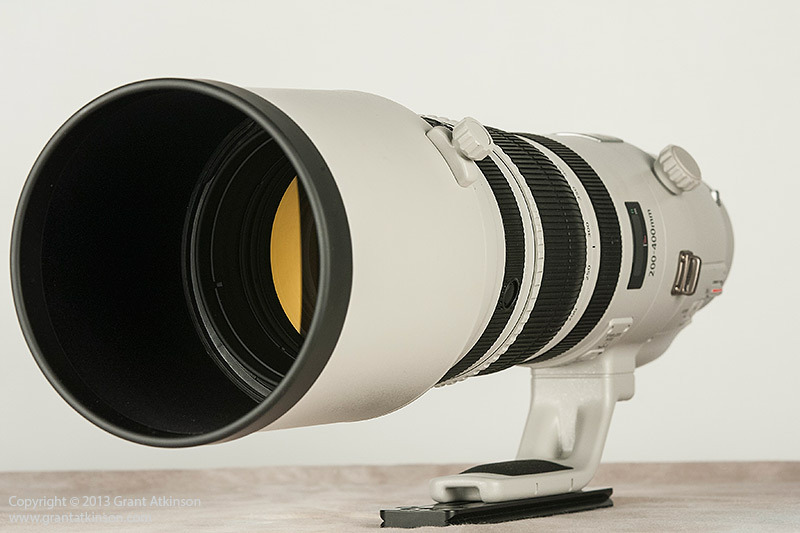 At 500mm, it has a one stop aperture advantage, faster and more accurate AF, and better image quality, with more powerful background-blurring ability than the EF200-400f4L. The EF 500 f4Lii is also lighter, and noticeably easier to handhold due to its weight distribution being different to that of the zoom lens. I have been doing some shooting with the EF 500 f4L ii and will be spending some serious field time with it in September, with thoughts of a full field review soon after that. Thank you very much for your feedback. I am wondering whether to go for the EF500 f4L or the EF200-400 f4L. I mostly hear that at 500mm, the EF500 is naturally superior, but I am at the same time tempted by the flexibility of the 200-400. The use will primarily be wildlife including birds. The lens will be used for travelling, so have to carry it around as well as most of my trips includes walking around in nature on foot. While I have been considering other and lighter Canon zooms, I am intrigued by the superior quality and low-light capabilities of the 500mm and the 200-400mm. For travelling and shooting wildlife on foot (handholding the lens), do you have some personal experience you can share in regards to the 500mm versus the 200-400mm? I am further looking much forward for a review of the 500mm in the case you should decide to do such. I can tell you that when handholding, the EF 500 f4L IS ii is lighter in the front end than the EF 200-400f4L, That may not make too much difference, depending on how strong you may be. I can handhold the 500, and move it faster in response, quite a bit easier than the 200-400f4L, but I am one of the smaller wildlife photographers out there. Photographers bigger and stronger than I am will handle both of these lenses quite comfortably by hand, including walking with them. The EF 200-400 f4L can focus quite a bit closer when it comes to minimum focus distance, and it is a lot more versatile. I think that only you will know whether you will be shooting at 500mm focal lengths more often than you will between 200-400mm…. I am busy with a full length field review of the EF 500f4 which I hope to complete sometime toward the end of September. Thank you for your answer. No doubt I will be looking forward for your review and opinion of the 500mm in comparison to the 200-400 and such review will contribute to my decision-making of which lens to go for in the end. THank you very much and looking forward. Great review, thanks! One question: will you trade your 300mm f/2.8 II for the 200-400mm lens? Thank you for this review. I have had my name on the list for the lens at a local store for a while with no delivery date given. I have a few events over the next couple of weeks that I could have used the lens and with no date in sight, I was about to cancel the order until I read your review. Keep enjoying the lens and thank you for your detailed review. I also got this lens and am very impressed with the results possible with it. And the flexibility of having either 200-400 or 280 to 560 mm is briliant. 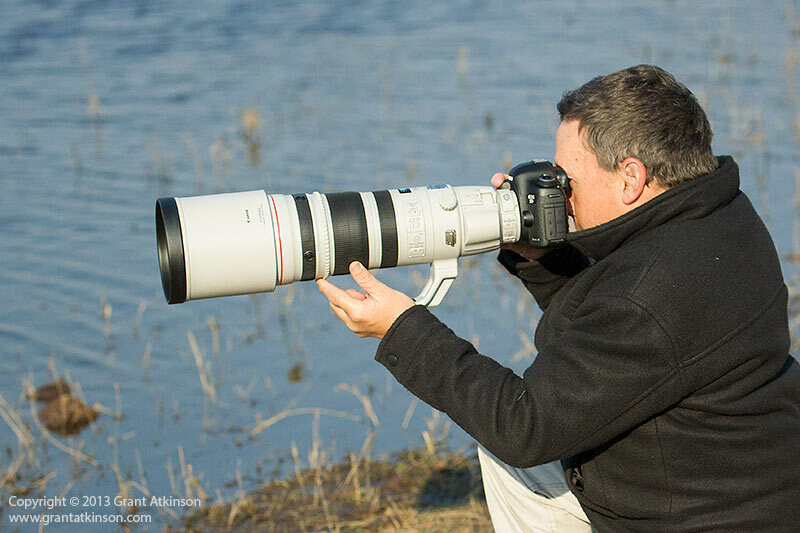 Next week I am going to Kruger National park for 2 weeks and can’t wait to shoot with this lens. I will b e shooting it on a 1DX. Grant. Simply a quality and detailed review that I have come to expect from you. Nice one. I so could have used this in Mana and Kruger this year as having constant proximity issues, meant constant changing of camera set-ups. I am at a dilemma though as I find myself more focused on birds and I am looking to upgrade my 500 (mk1) to a new 600mm. I do love the look of this lens, but am worried about having 2 large lenses on trips. I can emphathise with you about the gear…trying to manage too many lenses and bodies becomes a challenge in itself, and sometimes having to shift around and move one to get hold of another can make enough noise that the subject disappear or move off! I found your evaluation to be very helpful and now I have my sights set on this lens, but once thing I noticed is that you did not compare this to the EF 100-400 1:4.5-5.6 L IS. I was wondering if there would be much of a difference in the quality and performance. I find the 100-400 a tad slow on focus, but unless I’m trying to catch a bird at full focal length, the sharpness does not disappoint. 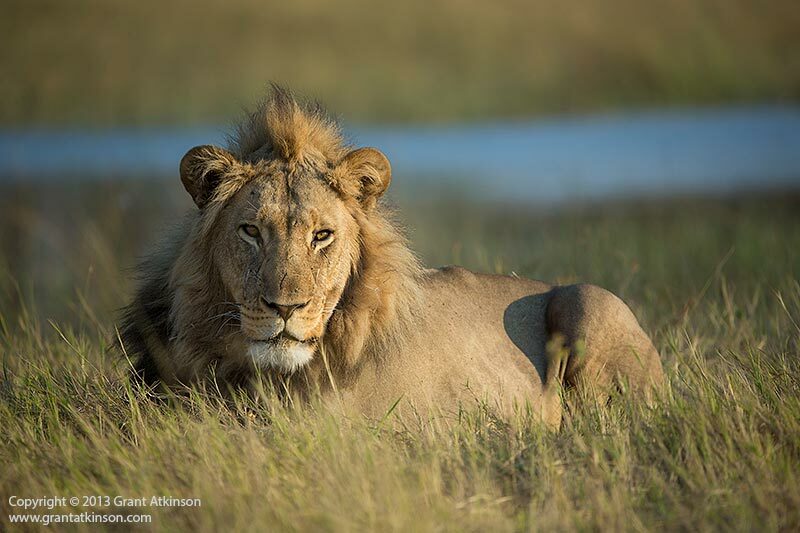 Between the best Canon zoom lenses that I use frequently for wildlife, there is a difference in detail and to a lesser extent, contrast when comparing the images that I get from them. All of them, that is the EF 70-200 f4L IS, the EF 70-200 f2.8 IS ii, the EF 70-300 f4/5.6L IS and the EF 100-400 f4.5.5.6L IS can produce images that are well detailed, and just about suitable for anything that I wish to use them for. My ranking of their image quality is as follows? The EF 200-400f4L and EF 70-200f2.8 IS ii are the two best, then the EF 70-200 f4L IS, just followed by the EF 70-300f4/5.6L IS and then the EF 100-400 f4.5/5.6L IS. The difference between the lens I consider sharpest, and the one that produces the least detailed image, in this group, is significant when viewed at a high magnification, or if the image is deeply cropped. But of course sharpness and image quality are somewhat subjective, and each user has their own judgement. The differences will also be less noticeable when viewed at a ‘normal’ computer screen type size. Hope that helps to explain things. If you wish, I can also email you a couple of high-resolution jpg images taken from the same location with the EF 200-400 and the EF 100-400, of the same subject and from the same camera body for comparison. Thank you so much for the detailed information. I had carefully researched out the lens I felt would give me the reach I would need at something a little easier to financially handle and still have quality. This lens fit the bill, but now I am starting to obsess with the new lens; lol. 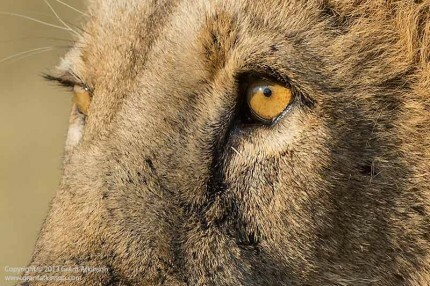 I will be going on an African photographic safari in a month and am hoping for great images. I would love to see the differences between the quality of the two lens. I looked up the cost and while right now it’s not doable, it may be for my next planned trip. My email address is eap34@juno.com. I got this earlier this year and spent summer getting to know my lens using it in a variety of situations so that I could know it’s quirks and it’s strengths. I look forward to hearing from you! Thank you again for your help. I am currently using, for similar usage, EF 300 f/2.8 mk ii and the EF 500 f/4 mk ii Needless to say, they are absolutely outstanding lenses and produce great results. Incidentally , I use the 5d mk iii, 5d mk ii and 7d as the cameras. I have waited, like everyone else for this camera to be launched and then hoped that it would be good enough to allow me to replace the above two lenses that I currently carry for wildlife photography with two bodies with just one camera and lens set. Do you think, now that you have used this lens a fair bit, that this will be a fair transition – replacing this one set with the two I was carrying earlier. Of course I may carry other bodies and lenses but here we are talking just the focal length covered by my 300 and 500 lenses. 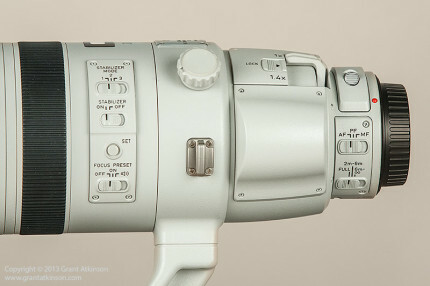 If yes, what about replacing the possible combination I have currently of using the mk iii version of the TC with the 500 giving me 700 on a full frame. I understand, at least from some reviews, that after adding an external TC, the 200-400 gives pretty good results. What do you think of this? I must admit that I find the 500 short at times for birding , particularly, and have thought more than once of waiting for an upgraded version (overdue I think) of the 800 f/5.6 and use that and the 200-400 in combination to cover all exigencies. Would you take that option and leave out the 300, 500 and the possible 600 mm mk ii primes. Please do not include the price as a determining factor in your reply for those depend upon the individual circumstances and do not reflect on the lens-utility per se. The weight of course is an issue but compared to the 600 (which I don’t have) the 200-400 is lighter and compared to the 500 mk ii it is about 250 gms heavier. For me the differences are less of a problem in actual usage since ai would use at least a monopod for all these lenses. The 300 mk ii is the only one I feel comfortable to use quite often handheld but I find its utility more when photographing birds in flight where I spite of having the Wimberley , I still prefer hand holding where possible. Hi Swaranjeet, thanks for your feedback on the review, and for describing your current lens usage and requirements so comprehensively. In short, I would definitely consider the EF 200-400f4L to be a very versatile replacement for the Canon EF 300 f2.8L IS ii and even perhaps the EF 400f2.8L IS ii, given certain shooting situations. However, I would be less certain of replacing the EF 500 f4L IS ii that you currently have with the EF 200-400f4L, not for any quality reasons, but only if you are constantly finding that your EF 500f4L IS ii is too much lens for your favoured subjects and scenarios. I found the EF 200-400 f4L to produce images and autofocus performance between 200mm and 400mm even wide-open at f4 that is very, very close to that of the EF 500f4L IS ii. However when one wishes to shoot at focal lengths beyond 400mm and the extender is in place then the EF 500f4L IS ii holds a small but real image quality advantage, as well as an autofocus speed and accuracy advantage, along with the flexibility of having an extra f-stop to play with. It does give up 60mm of focal length to the EF 200-400 f4L though. So I would not necessarily consider the EF 200-400f4L a suitable replacement for both your current lenses….given the usage scenario that you described above..
Hope that helps, and please excuse my late response, I am in the field with limited and fragile internet connection and little time as well. Pleased to inform that my 200-400 arrived yesterday. Thrilled beyond words :-). I have sold my 500 mk ii and am looking for a buyer for the 300 mk ii. I see your point regarding the need for quality at 500 and beyond. I find that for birds, which is where these focal lengths are needed in my case, 500 is not long enough. To use the TC all the time makes less sense than actually buying something longer. So I think I need to look at the 600 mk ii at least. Although, I suspect, 800 would be an option as well. I have seen friends using a combination of 400 f2.8 and 800 for birds. With the 200-400 that I now have would you, personally, have chosen the 600 f/4 or the 800 f/5.6. 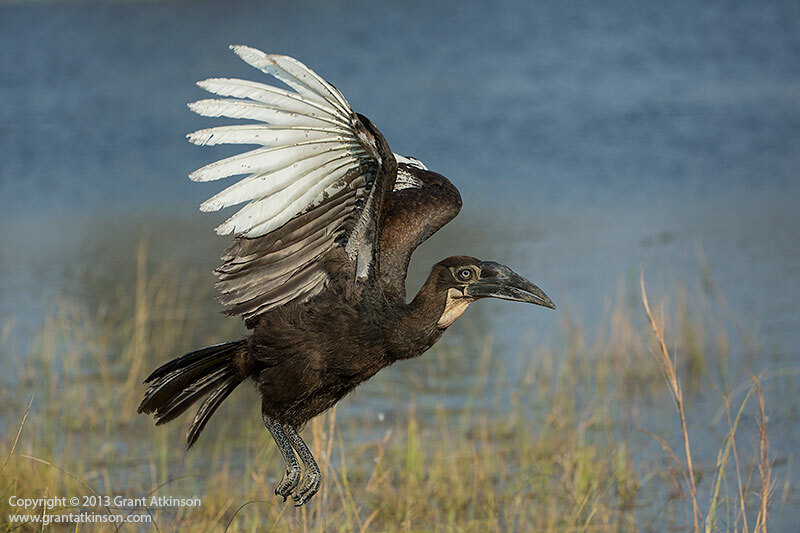 I would agree wholeheartedly with you that if birds are a photographic goal, that the EF 600 f4ii is the way to go. It is lighter and easier to use than the EF 800L f5.6. It is also a little sharper, and has less vignetting than the 800. With the 1.4x iii extender in place, the EF 600f4ii is about even with the EF 800L f5.6 in most aspects of performance and actually exceeds it slightly in focal length. I would probably choose the EF 600 f4L ii over the current EF 800 L f5.6, both for its manageability, as well as the versatility that comes with the faster f4 lens. On those occasions when 600mm is enough focal length, and that will happen some of the time, you can then take full advantage of the bare lens excellent AF performance and image quality. The lighter weight and superior weight distribution of the new EF 600f4ii also mean that there will be times when you can handhold it. I find that handholding, even for short periods, gives me freedom of movement for tracking birds in flight that I struggle to match when shooting from a tripod. 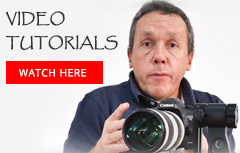 Your reviews on Canon equipment and tips (how to set up focus on 5d3) have been very helpful. Thank you, I very much appreciate it. I have a trip next March (from S. California) to SA, Botswana and Zimbabwe and the itinerary has us visiting Cape Town & Hermanus the first week and then onto Entabeni Consevancy, Vic Falls, Chobe in week two. 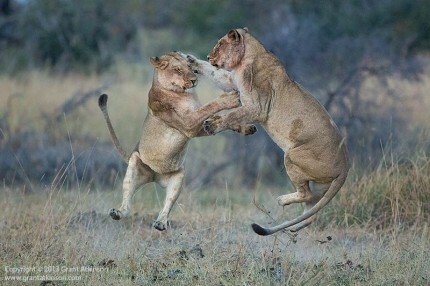 Do you recommend that we tack on some days to see Sabi Sands? Other parks? Also I’m taking my 5d3, and thinking of having my wife use the 7d with old 5d for back-up. Lenses I own include the 500f4, 70-200 II and 24-105 with new 1.4 and 2.0 TC’s ( I also own the 100-400), but i can afford to upgrade bodies and/or lenses and am intrigued by the 200-400. My interests are in birds, and of course the mammals. Final question is what is the preferred mount system for the 500 since I assume we’ll be in open vehicles during the drives (monopod, Wimberly and G clamp?). Thanks in advance for your suggestions, I only wish that I could spend a month or two doing safaris all over Africa! As for your gear, it sounds like a pretty good set-up, and it would be a fair question whether or not to replace the 500f4 with the 200-400f4 but I think it would depend on whether mammals or birds are your main priority? Thanks for this full, complete and very interesting review. I’m totally satisfied user of the 200-400 1.4x since I got it by mid June. Shooting wildlife and air shows, I’m astonished every time I use it about the perfection and quality of the pics !! I’m a first time visitor to your website, it is all is very impressive. i read your comments on the Canon 200-400 F4 with interest, and thought it was very good. I held out for this for a long time before giving in to impatience and buying a 500 f4. Maybe not such a bad outcome! Hi Rick, glad you found some useful information on the website. The 200-400 f4 is an excellent lens, but the EF 500 f4L IS ii is equally so, with the advantage of light weight as a bonus….. I am currently shooting with the 500 f4L IS ii and enjoying it immensely. I finally got the lens (wrote you beginning of August) and I have to say that it is all that you said and more. I truly enjoy using it. Once again thank you for the time you took to evaluate the lens and for putting your impressions down in writing. Hi John, glad to hear that you are enjoying the EF 200-400 f4L, I found it to be one of those items of gear that just keeps on surprizing me with its outstanding quality of results, every time I use it. I really enjoyed your review on this lens! As a novice wildlife photographer I have been shooting with the EF 100-400 f4.5/5.6 L IS which at that stage was, like many others, within an acceptable price range. Although I have had some decent results from this lens I suppose we all, at some stage, start looking for something sharper, longer & faster. The EF 200-400 f4L IS 1.4x ext IS USM has to be the ideal lens, however, the price is a bit of a shock to the system. What, in your opinion, would be the next best option at a better price range? 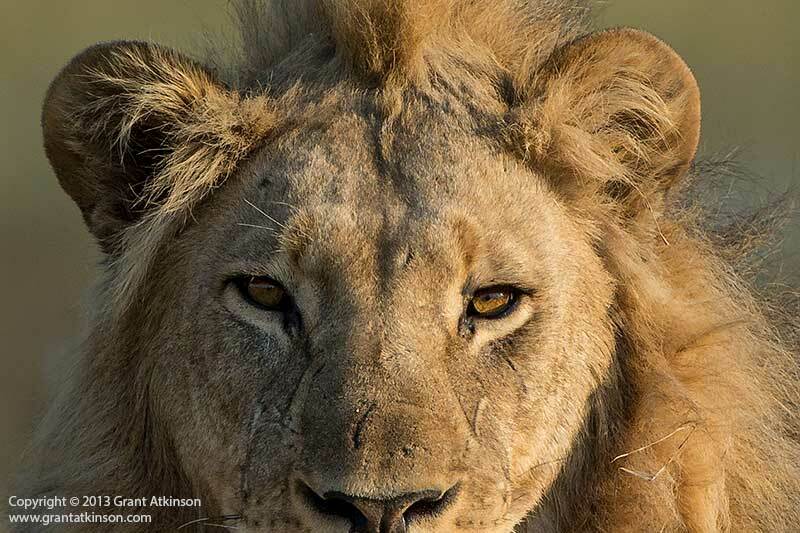 This is a tough question that many wildlife photographers face as they look to get more focal length, or bigger aperture, or better image quality. There is currently a massive jump in price from a whole cluster of medium-priced Canon lenses like the EF 300f4L IS, the 100-400L f4.5-5.6L IS, the EF 400L f5.6 to the upper price echelons of all the fixed Canon super telephoto lenses. Some current options are a new EF 300 f2.8L IS ii, plus 1.4x and 2x extenders…which will give you a variety of advantages over the 100-400L (bigger max apertures at 300mm and 420mm, reach advantage at 420mm and 560mm) although flexibility in a hurry is not one of them. Another option might be a used EF 300 f2.8L IS version 1 (plus extenders) or a used EF 500f4L IS version 1. Both of those lenses are exceptionally sharp, focus very fast and accurately and are exciting to use. There are also continuous rumours of a new Canon eF 100-400L sometime next year that might offer sharper images, faster autofocus and superior image stabilization. This is a reasonable expectation to have if one takes into account the good performance provided by the EF 70-300 L IS. The fact that Nikon have also released their new 80-400 may also spur Canon on to bring out the new, rumoured 100-400L. I had been to Africa on a photo safari and as I’m going over my images, I noticed a rainbow effect when I shot in extremely low light. I shot with a 5D MarkII. My settings were on ISO 6400, shutter speed of 100 and aperture at 5.6. I used my 100-400L IS lens. I wasn’t the only one with this problem, but mine were most noticeable. I have talked with Canon and was basically told that when using that high of an ISO under those lighting conditions, it’s normal. They made recommendations to try to work with it post-production and as for shooting, the suggestions were just that, ‘you could try. . .’ They couldn’t say with certainty that switching from landscape to neutral or setting the Auto Lighting to low would help, but worth trying. The tech I spoke with also said for me to shoot in the afternoon light using each of the ISO’s to see if I still get that effect when I hit the high ISO. As a wildlife photographer, have you seen this problem and how do you work with it? I will admit that I am not the most technical which is probably part of the problem, but I would be grateful for any insight. Thank you for even taking the time to read this. Hi Roxanne, although I did own a 5DmkII for a long time, I don’t recall ever shooting it at iso 6400 outdoors in natural light. I have shot my 5Dmk3 and 1Dmk4 at iso 6400 in natural light several times, but not noticed anything unusual apart from some noise which may show up almost as a pattern. It would help if you sent me one of the images to see. I do shoot in raw only though. Noise, or its effects, typically show up most visible when you have large parts of your frame representing low contrast areas. In other words, I expect noise to show up more in images where I have large areas of dark, soft-contrast background as opposed to images shot in the same light at the same iso but where the frame is mostly filled with high-contrast subject. If your rainbow pattern is showing up most strongly in low contrast areas, perhaps it is just a result of strong processing techniques being applied to high-iso noise? Thanks for the info Grant, most certainly helped. All I require now are the correct numbers for that all elusive lotto!! Hi Kevin, perhaps the rumoured new 100-400L will provide a good option. Alternatively getting used gear can be an option and the L-series lenses hold up really well. Thank you so much for such an exhaustive review and even more so, the painstakingly detailed responses to all the questions. That to me has been much more useful in some ways. This is my first visit to your blog and I am very glad I found it. I have the 600 Mk II and used it with the 1DX on a trip to Tanzania earlier this year, before the 200-400 F4 became freely available. It is a stellar lens, just as good as my old 300 f2.8 Mk I was. Now I have a huge dilemma. Get the 200-400 and/ or keep the 600. Cannot carry both on a trip even if I could own them. 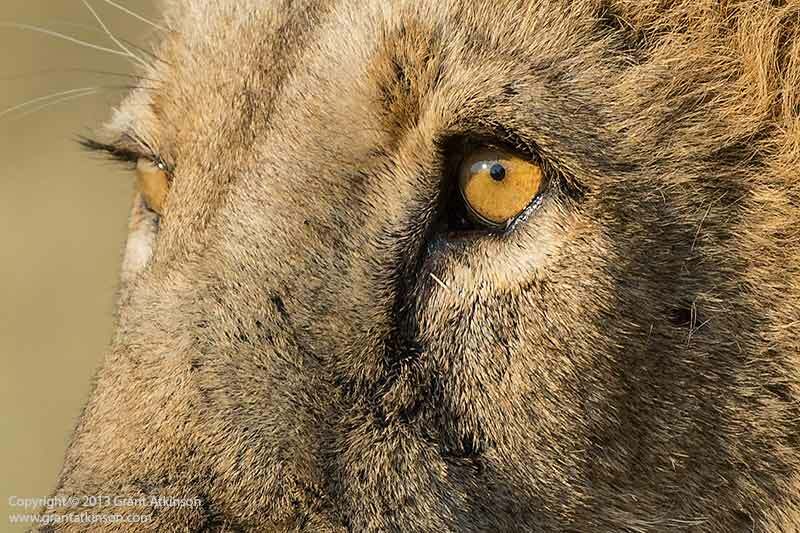 In Africa I used the 600 on the 1DX and the 70-200 f2.8 on a 1D4 body, and the Nex7 with a 24mm for scenics. I did carry the 24-105 as my third lens but hardly used it (didn’t want to change lenses in the open). In fact the biggest problem in Africa I believe is just that – too risky to keep changing lenses or adding/removing extenders in the field – there is just too much dust and sometimes you don’t realize you’ve got a dirty sensor until you’ve shot all day with it. Just for that alone I think the 200-400 would be a great ‘all round’ wildlife lens. For birding though the 600 with added potential for even greater reach is the king. 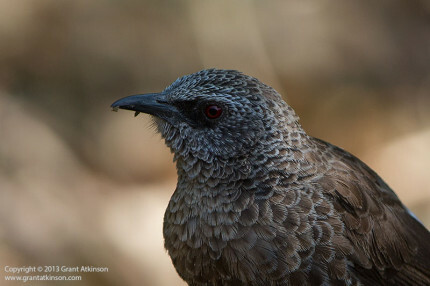 And in Africa the birds are sometimes even better than the mammals. A happy problem of sorts to have. Don’t know that there is a simple solution to it. Really enjoyed your detailed review. I have ordered this lens, and I am patiently awaiting its arrival in Sri Lanka. I travel alot within the country, and have been using the 100-400mm for over 4 years, and used this little lens to the maximum possible, but I was eternally frustrated how much I had to strain to get a decent quality sharp image. When I did get one it was awesome, but I have to try really really hard and waste so many shots to get one. I tried out my friends 70-200 f2.8 last weekend and I clearly noticed the difference in sharpness and clarity. I also hope to buy the proposed Canon 7D Mark II body which is rumored to come out next year. The rumored specs look amazing and I am mainly looking forward to the 10 frames per second and great iso performance. Grant, thank you for such a great review on the 200-400. I bought this lens this summer and have been really happy with it, though I do find a poor hit rate on in-focus shots when I attempt to hand hold it. I suspect that this is by far limitations on the part of this shooter rather than on the lens itself. 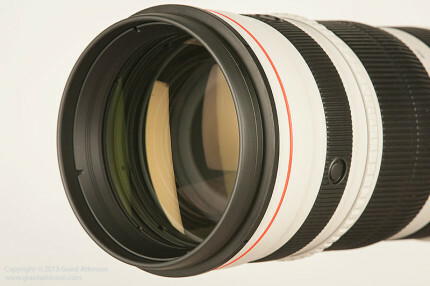 I use this lens mostly with my 5D III. I do have a question for you based on your review. If you are shooting moving wildlife hand held or on a tripod are you usually using the new Mode 3 image stabilization on this lens. Also, are you pairing this with AI Servo using all the autofocus points? 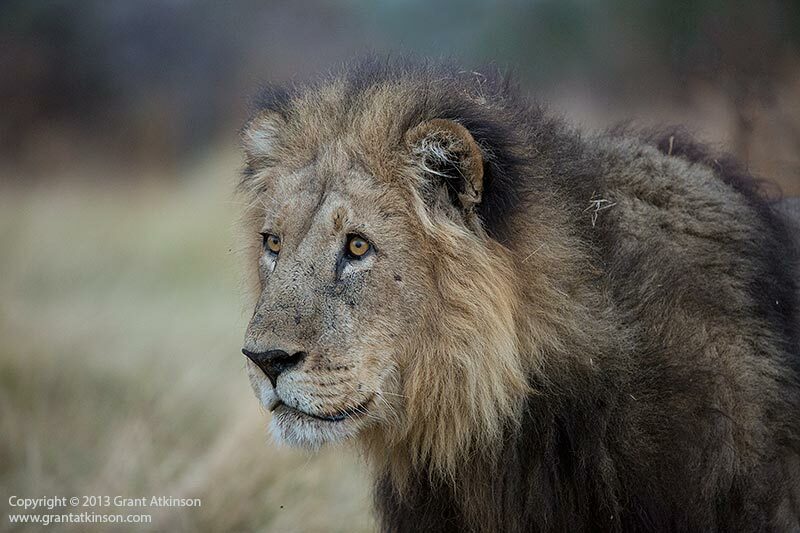 Glad you are enjoying the lens, it is such a versatile piece of gear…really ideal for wildlife shooting. 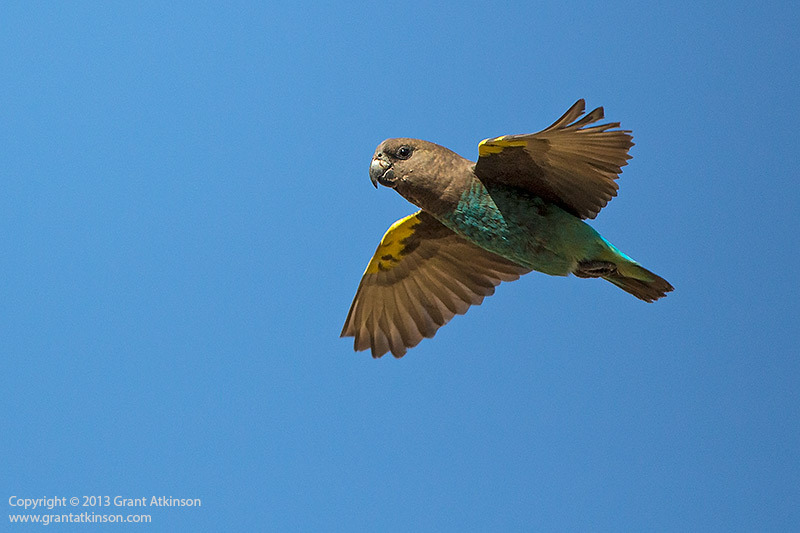 I shoot almost entirely handheld when using the 500f4L IS ii or the EF 200-400f4L IS 1.4x. I have been using Mode 3 extensively for the last three months, with good results it seems. I also get pretty good results using Mode 1, which is the other mode that I typically use. The newest IS system is so fast, so quiet and so effective on these new super teles that I cannot really say that one mode is too much different from the other at this stage for my style of shooting. Whether I am on Mode 1 or 3, the new lenses with the latest IS are enabling me to come away from shooting in very low light with sharp shots handheld that I struggled to match when using the older IS Canon lenses. I keep my cameras in Ai Servo all the time, and I typically keep either all 61 points available, or sometimes switch to just the 41 cross type points when using the 5d3 or the 1DX. Although I keep all or 41 point available, I never use the fully automatic, 61 point AF selection option. I prefer to either use a single AF point, manually selected by myself from either 61 or 41 available, or I also make use of AF Zone, which is the cluster of points that is very easy to move around the grid very quickly when I am dealing with subjects that change their position rapidly in my frame. These AF settings and approach are working for me with the 1DX and the 5Dmk3. Hi Matt, thanks for your feedback here. Using the EF200-400f4L IS with the internal extender engaged, results in a 560mm f5.6 combination. All focus points work just fine in this configuration with any reasonably modern Canon DSLR, including the 7D (all 19 points work). If you then attach a separate and additional 1.4x Canon extender to this 560mm f5.6 lens, then I don’t think that any of the 7D autofocus points will work. You will then need to use a 5d3 or 1DX, or 1Dmk4 or 1Dmk3, to have working AF, either from centre point only, or centre point plus a few more. Hope that helps. Thanks Grant for the response, very helpful. When I was researching the Canon 200-400 1.4 for a possible purchase, your review of the product was by far the most useful. In fact, your review pushed me over to purchase the lens and I never looked back. Like you, I am using the EOS 5D MK3 with the lens. I do have a question about Camera Autofocus Settings that yield the best images in wildlife shooting. Specifically, which AF Area Selection are you mostly using? I started out with mostly using Single-Point Spot AF because I like to be precise with where I am focusing but had some sharpness issues when I was shooting a Panda Bear at the Zoo. Canon told me that that this mode can result in focusing issues when focusing on an area with uniform color on the object. Also, for wildlife shooting, which AI Servo AF “Fine Tune” option (Case 1-6) works best for you? Thanks for the effort you put into this review and sharing your experience. Thanks for letting me know about your findings. When it comes to AF Area Selection, I tend to use the Single Point (not Spot) most of the time. I seldom have issues with accuracy or sharpness when I get the AF point in the right place. However, a panda bear might be problematic as it has a dark face and dark eyes, which don’t provide too much contrast. This lack of differential contrast can be exacerbated in low light for the AF but I still find that the Single Point AF or Spot AF to work the best, even more so then. In such cases I usually pick a place on the subject that is an equal distance to me as the eyes would be (given that I want the eyes to be in focus), such as the chin, or maybe the neck, depending on the animal, that shows more contrast, and then perhaps dial in a tiny bit more depth of field if feasible. I mostly just use Single point AF, but I do find that moving the point around on the 61 point grid quickly with a Single Point can be a bit slow, specially when I have a subject that is changing its position in my frame often and quickly. In such instances I usually switch to the mode AF Zone, which is 9 points and in clusters, and can be moved in just two clicks from one side to the other. I find AF Zone to be accurate most of the time, although I don’t have exact control over which point finds AF lock first in the cluster. It does give me best results when I can work with a little extra depth of field. Another option when I am struggling to move around the AF point grid quick enough to compose with a subject moving about quickly, and using Single Point, is to then reduce the number of available AF points to 41 or even less if needed. This option is available on the 5Dmk3 in the pink AF menu. Thanks Grant for your feedback. When I look at the series of Panda images that are out of focus I can see a possible lack of differential contrast on the bear’s grey/white face and there certainly was a relatively low light condition. What motivated me to post my first message is that the out of focus images where the best compositions of the entire series of images I took from the bear….. I had missed your blog on “Making the most of Canon’s new autofocus – 5Dmk3 and 1DX” and it actually answers all my questions. In fact I faced the same issues with the “Six Cases” and find your approach of simply setting the three parameters (Tracking sensitivity, Accelerate/Decelerate tracking, AF Point Auto Switching) much more practical. I love the “My Menu Settings” and actually use all six of them for settings I frequently use. With your suggestion I may have to further prioritize the list and make room for the AF Configuration settings. Grant, thanks again for your review of the Canon EF 200-400 f4 L IS USM Extender 1.4x. Because of your review, as well as positive things I was seeing from others, I bought this lens late in the summer of 2013. Now that I have had several months to use this lens, I must say I am blown away by the quality and versatility of this lens. I have used it extensively on trips in the U.S., South America and also to Easter Island. I was hopeful that it would have the quality I wanted, but now that I have had so many occasions to use it, it has far exceeded my expectations. This is an expensive lens, so reviews like yours are such an important step in the decision-making process for people like me. Your review was extremely helpful, and in my opinion completely accurate. So again – thank you. Thanks for the feedback here, especially after months of use. Always a bit easier to make the best judgements after some longer periods of use, then when using brand new gear for a few days or a week, I find. I also found the image quality to be of the best I have obtained from a zoom lens. That is pretty liberating for me, as it combines the accuracy of composition that the zoom brings, with highest-order image quality, and the freedom to shoot wide open, which is after all why one pays so much, not only in monetary terms but also the burden of carrying and using such bulky gear items. I am busy right now on an autofocus post as well as the field reviews of the EF 500f4L IS ii. Grant, great real world review of the new Canon EF 200-400 F4.0 lens I am a serious amateur and soon to pull the plug on a 1Dx and either the 200-400 F4.0 or the 500 F4.0 getting back into nature and wildlife photography. The last DSLR long lens combo I used was the Nikon D3s and 300 F2.8 VR11 with both 1.4x and 2.0x convertors. I shoot Leica for landscape and people but want to expand into nature and wildlife again also Canon options for macro and studio more flexible than Leica. The choice of Canon this time is more driven by their lens selection than the body but I think both systems are great. I made the decision that the 300 F2.8 is just not long enough if most cases I usually shot with one of the TC’s engaged I initially intended to go for a 500 F4.0 but the 200-400 intrigues me the flexibility it has with the zoom giving 200-560 with the TC engaged. Although I don’t in ten to shoot exclusively birds locally they are the most common in Ontario Canada if I look back at all my D3/300 files I am probably ~40% birds and do hope to do quite bit of travelling with the new gear shooting lots of wildlife and birds…the joys of early retirement. Hi Dave, thanks for your feedback on the review, and to read about your gear plans and current setup. I agree with you that at the moment, little to choose from in camera bodies when it comes to the Canon 1DX or the Nikon D4/S. Lenses are definitely a bigger factor. I own the EF 500f4L IS ii and find it significantly lighter and easier to handhold for long periods, when compared to the EF 200-400f4L IS extender, although it is worth noting that I am on the diminutive side when it comes to physical build. Whilst I have shot the EF 200-400 with its own internal 1.4x extender engaged, and a 1.4x extender attached, I did not try it with a 2x extender. I realize that in many instances 800mm of focal length is advantageous, but if I were going to be shooting a lot at that focal length, I would rather go with the EF 600 plus 1.4x, or the EF 500f4L and 1.4x or 2x extender. As good as the EF 200-400f4L is optically, when shot with no extender engaged or attached, I found that it bled away some performance when one extender, and even more so when the second extender was brought into play. It is a complex zoom lens, after all, perhaps one of the best of its kind ever, but it cannot quite match the latest fixed focal length super teles when extenders are added to the mix. That said, I found that the 200-400 plus two of 1.4x extenders delivered suprizingly decent image quality for distant subjects, in good light. I found trying to focus on fast-moving subjects quite difficult, which is to be expected. Usually when i am trying to work out what lens to get, I will take some big folders of images that I like shooting, and then use Lightroom Filter to check by focal length. It quickly clarifies for me which focal lengths are most important to me. My own choice between 200-400 and 500f4 was influenced to some degree in this way, by noting that the majority of keeper shots that I took with the 200-400f4 were at 400mm, and often still cropped afterwards, hence the 500 fitting the bill. I do miss the flexibility of the zoom a whole lot though especially with mammal photography at close distances. I am currently working on a review of the EF 500f4L IS ii and hope to have it published within the next week or two. Thanx Grant Atkinson… thank you very much for detailed review. I’m using Nikon from the past 10 years and after reading many reviews, I decided to change over to Canon. I want to gor fot Canon 5D Mark III with Canon EF 200-400 f4 L IS USM Extender 1.4x. Earlier I preferred Nikon 300 f2.8 wit 1.4 x converter. Please guide me about my decision rearding changeover to Canon. (Very sorry, but this is a duplicate of an email I sent to you earlier.) Thank you for this outstanding and comprehensive review. 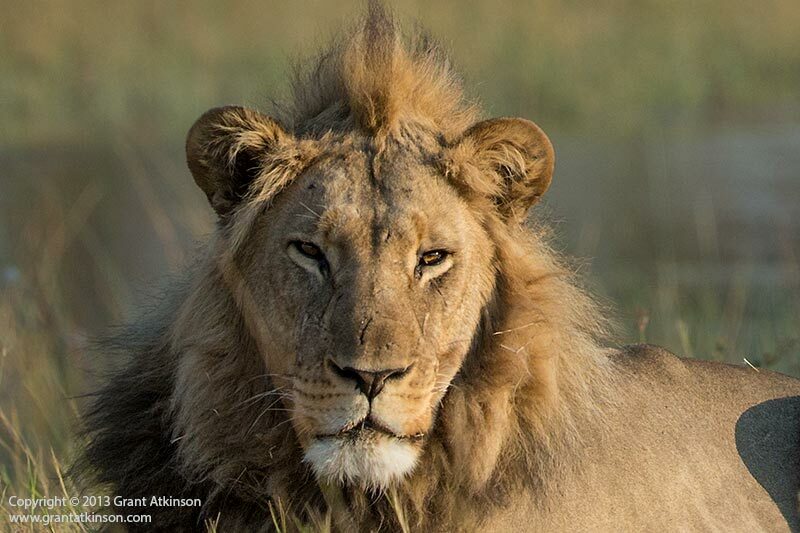 I have a photo safari in Kenya planned for later this year. I own both a 200-400 and 500 f/4 (version 1). Is there really any need to bring both lenses? Yes, i like birds, but my primary focus will be on mammals. Thank you. Hi Shashidar, the EF 200-400L 1.4x combined with the 5dmk3 is a very powerful tool for wildlife photography. I think you will find it much more versatile than your earlier 300mm lens, with converters. You will not waste any time changing converters in the field, and you will also find that the 200-400 zoom range allows you to easily change compositions as animals move closer or further from you. 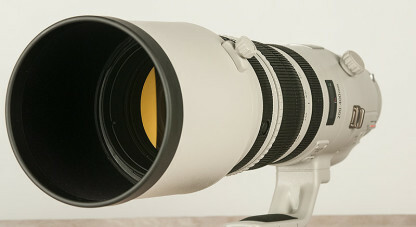 On top of that, the 200-400L image quality, between 200mm and 400mm at f4, will be better image quality than the 300mm lens with a converter attached. If there are more specific things you wish to ask, go ahead.. Thanks for the amazing review !! What should one expect to pay locally in SA for this lense ? Thank for sharing this comprehensive review on this gem of a lens from Canon. I really admire and appreciate the level of detail provided in this review. I’m a big fan of your photography. I’m in a similar boat, as some other folks on this forum, torn between getting the 200-400 vs 500 IS II. My interests lie in making images of Mammals , water birds (flamingos, storks, pelicans, etc) and some raptors. I have not developed a strong interest into small birds yet. 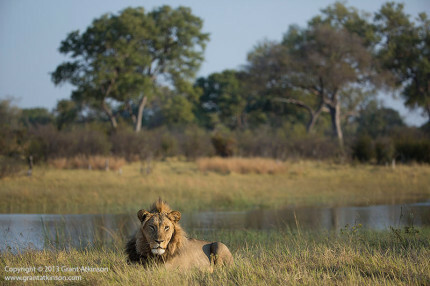 My places of interest include typical Indian national parks such as Ranthambore, Kazirangha, Kabini, Kanha, Corbett,Bharathpur, Bandhavgarh and an occasional African park. The light in these Indian parks is not as good as the parks in Africa. Having said that, I don’t believe low light conditions are the best for creating dramatic images including wildlife action, so I’m open to getting a f4 lens was purely buying f2.8 lenses. My current canon equipment includes a 5d Mk III and a 100mm-400mm. I would highly appreciate any inputs on getting a 200-400 vs 400 f2.8 IS II vs 500 f4 IS II. Having now used the Canon 200-400 + 1.4x for over a year, I cannot imagine being without this lens to shoot mammals if you can handle the price and plan to use a gimbal head for most shots. Amazing quality plus the versatility of having 200mm – 560mm INSTANTLY available is a potent and versatile combination. This was clearly reaffirmed on a recent trip to photograph brown bears in the wilds of Alaska (this also included many photos of other mammals, smaller birds and raptors). I used every focal length available on the 200-400 + 1.4x on this trip. I don’t own the 600mm or 500mm, but will soon be ordering the 600mm. This will mostly be for having an even more powerful lens for shooting small to medium size birds or small or far-off animals. My main preference is photographing larger mammals and if I was going to take one super telephoto on a trip that requires airline travel (with all the accompanying hassles of weight and size restrictions regarding luggage ) it would, without a doubt, be the 200-400 + 1.4x. I shoot this lens with both a 5D Mark III and a 1DX. If your interest is mostly birds, then a good argument can be made for taking a 600 or 500 instead of the 200-400. Thank you so much Grant for sharing your experience with the 200-400. Since mammals are a priority for me, the 200-400 would be a better fit. I’m going to try and rent the 200-400 for my next trip to get some hands on time with the lens. Btw did you feel any IQ difference with the extender engaged for focal lengths greater than 400mm? Hi Amit, I preferred to shoot the EF 200-400 without the extender engaged, any time that I was within the 200-400mm focal length range…however, using the extender still provided very good image quality, just not quite as exceptionally good as when shooting the lens without the extender in place. This is to be expected of course. In good light the differences were smallest, and what is so great about the lens is that you can just switch between extender and no extender use whilst shooting the same subject. Hi Kevin, apologies for my late response, I have been away in the field for the last month and just trying to catch up now! If you already have the 70-200f2.8 ii, then choosing the fixed EF 400L f2.8 IS ii would give you the best possible AF speed, best low light capability and also background blurring power for distracting backgrounds. The negative would be that you lose flexibility and the ability to frame as carefully as possible. However, you still have the 70-200 on hand for things that move very close. The 200-400L would offer greater accuracy with framing, limiting how much cropping you might need to do, both though the lens or afterwards. It doesn’t give up much to the fixed lenses in terms of AF speed and image quailty. On the downside, the 200-400 cannot shoot at f.28 for the lowest of light, nor can it blur backgrounds quite as strongly as the fixed 400L f2.8 IS ii with its larger max aperture. Whichever of those things is most important to you might play a role in which lens I would choose? Based on your Canon EF 200-400 f4 L IS USM Extender 1.4x Field Review I bought this lens and it is way beyond my expectations. I use my full frame EOS 5D MK III with this lens and I have enough reach in about 70 to 80% of my shooting. There are bird photo scenarios where I wish I had a little longer reach and buying another longer lens is not an option. I am looking at two options to extend the reach. I could buy an EOS 7D Mark II (1.6 crop) or an EF 1.4X III Extender. The problem I foresee with the Extender is that I loose one full Stop, which concerns me because I am always on the edge of having enough light when I do not use a Mono/Tri Pod. I also do not know what the “second” 1.4 Extender would do to quality of the images. I love the image quality of my 5D MK III and I have not found any combined 7D MK II and EF 200-400 f4 L IS USM Extender 1.4x tests. I wonder if you have any experience/opinion with the options I describe above? Thank you grant for the quick reply and taking the time to respond to my question. I very much value you sharing your experience with the 7Dmk2. It certainly answers my question how I will move forward adding deeper crops for small subjects with my EF 200-400 f4 L IS USM Extender 1.4x. Thank Grant for detailed review. From your review it is so clear hobbyist like me can buy this expensive lens and justify its cost as it can do the job of more then one lens. Talking about tours. Grant your tours are very luxurious with nice accommodations and great food. I understand lot of people love your tours as they get a great guide and value for their money. My question is: can you recommend a tour with guide half as good as you for lower budget people like me. I don’t mind roughing it out and eat what locals eat. Objective being wild animals in their natural habitat and locals living around them. Just a wild idea. Hi Syed, for sure the EF 200-400L 1.4x does do the job of more than one lens, and very well too. 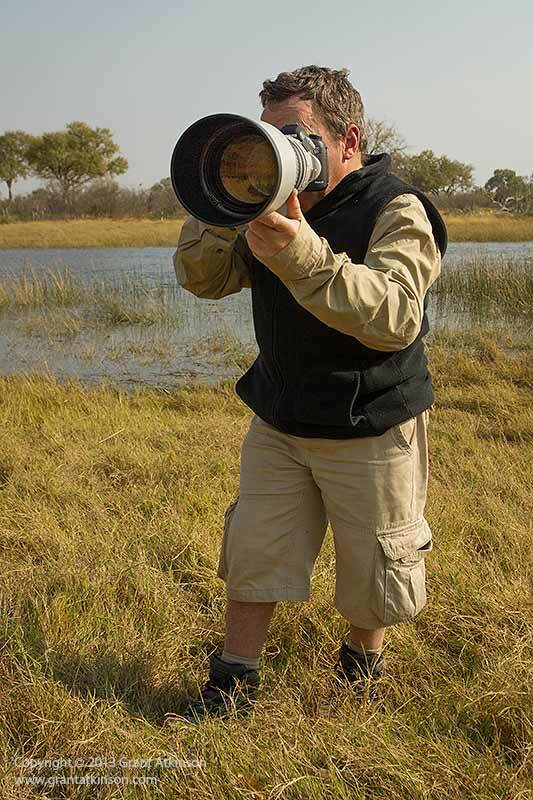 It is pretty much “THE’ lens of choice for most African safaris. I think it would do very well for you. As for tours that cost less, there are literally hundreds of less costly options, but I am not famiiar enough with any/all of them to be able to recommend one. East Africa (Kenya and Tanzania) both have loads of opportunities of getting very good wildlife viewing in fantastic wild surroundings. 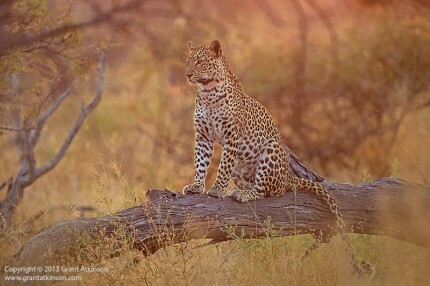 South Africa has a wonderful collection of National Parks that offer good photo opportunities for low costs, places like the Kalahari Transfrontier Park perhaps first and foremost. In Botswana, the Central Kalahari Game Reserve is a great place, only a few lodges, you have to go camping there to do it economically. Also Savuti, Moremi Game Reserve are other Botswana highlights. Things to take into consideration when planning a safari around photo opportunities for wild animals include how relaxed are the animals, how much vegetation will get in the way of your picture-making, how many other vehicles/people will be around the sightings, how many people in a vehicle if you are with a commercial operator and whether or not any off-road driving is permitted? Hi Syed, the more time you can spend, the better when it comes to getting to good places for high-quality images, specially if you are looking to spend less on accommodation. The Mara reserve itself in Kenya remains a great place to take photographs in, lots of subjects, great surroundings to compose in. Difficulties may come in the number of other vehicles present at sightings (and the impact that might have on the wildlife) as well as no off-roading. You might do well to post some questions on a forum like Safaritalk to find out about reliable operators that don’t price themselves too highly. 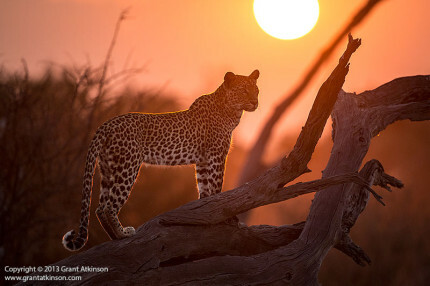 The SA Kalahari Transfrontier Park also produces award-winning images from photographers traveling alone and independently each year. Time will be your biggest asset when going about a trip like this.